more informations - sachayacu-ev Webseite! 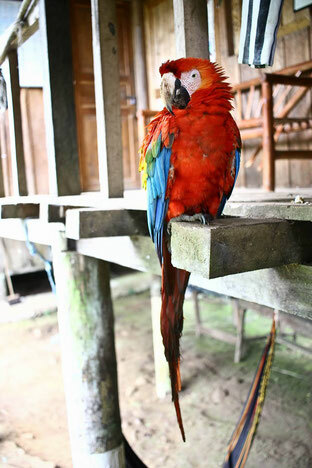 The cost also helps to cover food and veterinary care for the animals, as well as other vital supplies for the Center. 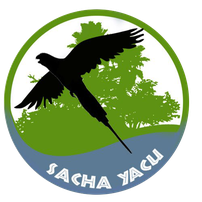 Note that Sacha Yacu is a non-profit organisation and these fees are to ensure that the centre is able to achieve their objectives and offer the rehabilitation and conservation programmes that the rescued wild animals need in order to survive. Each week is 125 USD per person. Food trips are made by members of the staff each weekend. All food will be shared and cooking duties for Lunch and Dinner are usually assigned in rotations to all volunteers. If you wish to have additional food or snacks, you can purchase it in Puyo or El Triunfo. It is also possible to call an ambulance, if necessary. Tetanus, Hepatitis A and B are required to work with the animals. 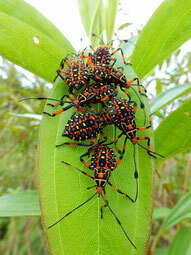 Vaccination against Rabies and Yellow Fever are also generally recommended.